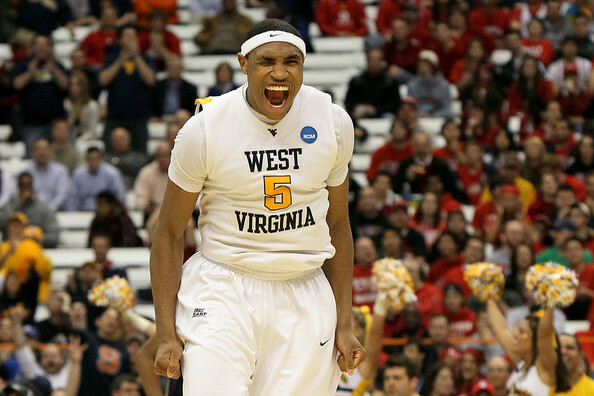 Is West Virginia This Bad, Or Is Its 1-3 Record a Product of Scheduling? West Virginia is not the worst team in the Big 12. Far from it. And yet there’s no team in the league right now with a worse record than the Mountaineers, who have lost three of their first four games and own a sole victory against Marist in the Old Spice Classic’s consolation bracket (hey, that’s more than Vanderbilt can brag about). If not for that one win, it’d have been fair to call the tournament in Orlando a Thanksgiving disaster for Bob Huggins‘ team, especially on the heels of that embarrassing season-opening loss to Gonzaga by, what was it, 700 points? With three transfers playing major minutes and a remade roster after losing Kevin Jones and Truck Bryant, nobody expected November and December to be easy for West Virginia. You’ll also hardly see a power-conference team play a schedule like this in the opening weeks of the season. It’s no secret how good Gonzaga or Davidson are, and Oklahoma’s no slouch this season either. 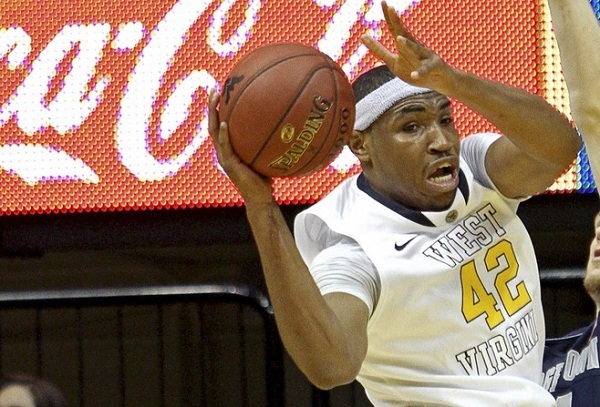 Still, we expected to see Huggins’ team embody a completely different mentality. He openly admitted after bowing out early in last season’s NCAA Tournament that he had never coached such a poor defensive team. That was after a blowout loss to those same Zags — and sure enough, seven months later, it happened again in the 2012-13 season opener. Different team, but more of the same issues (GU hit 52% from the floor including nine threes). The NBA Draft is only two rounds long, so it’s quite difficult to crack the top 60 eligible draftees into the league in a given year. It’s even more challenging for graduating seniors, who not only compete with younger collegians but also foreign prospects from around the world who possess greater ‘upside’ in the minds of NBA evaluators. Constantly in search of the next hidden gem, general managers tend to overlook the players they’ve watched over the past four seasons in college. Only four seniors were picked in the first round during last Thursday’s draft, and while another 17 made it into the second there was still a large pool of graduates who didn’t hear their names called. There were far more than 21 impactful seniors in college basketball last season, and we’re here to honor the careers of those who didn’t get selected. We won’t forget the contributions of these following players, and with hard work and a little luck they should have a strong chance of cracking an NBA roster in the future. 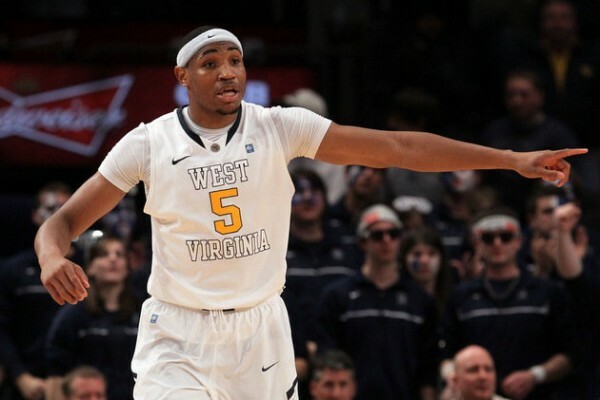 Kevin Jones, West Virginia – A career that included a trip to the Final Four as a sophomore and leading the Big East in scoring and rebounding as a senior wasn’t enough to merit consideration by the NBA. Jones averaged 19.9 points, 10.9 rebounds, and 1.0 blocks last season on 50.9% shooting from the field and 78.0% shooting from the line while also making a three-pointer per game. He also led the conference in Offensive Rating, this all coming on a squad with little offensive help elsewhere. William Buford, Ohio State – Buford was a McDonald’s All-American guard with prototypical 6’6″ size who averaged double figures every season at Ohio State, making two Sweet Sixteens and a Final Four. He shoots it well and has shown a strong tendency to fit into an offensive scheme with other talented scorers, but his inability to take over games perhaps made him overlooked by scouts. It has been a while since we have checked in with some recent news from everybody’s favorite basketball conference that is slowly falling apart, and for that we apologize. We have real jobs (womp womp) and occasionally it can be difficult to find time to recap the week’s Big East news. That said, we recognize our recent shortcomings and will make amends starting now. Weekly Fives will come out on Tuesday morning, and barring some minor catastrophe, they will become a regular staple again. So rejoice, and enjoy some much belated news. Maybe Villanova isn’t going to lose center Markus Kennedy after all. The rising sophomore made the understandable announcement that he was transferring two weeks ago, presumably because there weren’t a lot of minutes to go around next season. Well now he appears to be reconsidering that decision, although it is still unknown whether coach Jay Wright would even take him back. Kennedy had an unremarkable freshman campaign, but did look like someone who could develop into a quality contributor down the road. The question now becomes whether he is good enough to continue to take up a scholarship Wright could give to a more talented recruit in the next year or two. The frontcourt that Rick Pitino has assembled at Louisville for next season will be very talented and very deep, but that didn’t stop the Cardinals from adding to the mix as they landed one of the last 2012 Top 100 recruits left unsigned in Montrezl Harrell. Harrell asked for his release from Virginia Tech when the Hokies fired Seth Greenberg, and now the undersized but rugged power forward — who also was recently named to the US Men’s U-18 national team — will be headed to the Bluegrass State. Considering the depth the Cardinals already boast in the paint, it will be tough for Harrell to crack the rotation and find consistent minutes as a freshman, and the addition also forces Louisville to play the always fun game of musical scholarships, but the late signing is still quite a coup. Like so many others who cover the conference, we were guilty of doubting Steve Lavin’s ability to recruit talent to St. John’s given the doubts about his long term future with the Red Storm. Well, consider us properly shamed, as not only has Lavin continued to make progress health-wise, but the program’s recruiting continues to flourish under the leadership of their charismatic coach. First, Lavin convinced Jakarr Sampson to recommit, and most recently, Top 100 big man Christopher Obekpa committed too, giving the Red Storm another talented class highlighted by big men. Given the well-publicized transfers, recruiting defeats, and early departures that marked the Red Storm’s season, this recruiting class is huge from a momentum standpoint. With Lavin’s health improving, he is set to return to the bench next season, and it looks like St. John’s has successfully avoided a catastrophe and continues to move in the right direction. Two Big East teams made news this week thanks to transfer decisions, although the teams made news for opposite reasons. First, former Providence combo guard Gerard Coleman is officially transferring to Gonzaga, where his ability to score and rebound will make a huge impact in Spokane once he sits out a year. It is never a good thing to lose a player of Coleman’s caliber, but the Friars’ backcourt is already so crowded, it at least gives coach Ed Cooley one less headache to worry about. The second transfer involves Huggy Bear and his West Virginia squad, who landed well-traveled forward Matt Humphrey. The 6-foot-5 forward has already made stops at Oregon and Boston College and will be eligible to play immediately because he earned his degree from BC last year. He will have one year of eligibility remaining and after an impact season in Chestnut Hill, Humphrey should give Huggins an experienced and multi-faceted swing player who can step out and knock down the three-pointer as well as defend multiple positions. At the very least it should help the Mountaineers recover from the loss of its Mr. Everything, Kevin Jones. Height/Weight: 6’8” / 250 lbs. Overview: Kevin Jones enjoyed a decorated four-year career at West Virginia that included a run to the Final Four as a sophomore and ended with a phenomenal senior season in terms of productivity. This past year, Jones led the Big East in scoring (19.9 PPG) and rebounding (10.9 RPG) while shooting over 50% from the field and committing just 1.3 turnovers per game. He was one of the most productive forwards in the country and helped his draft stock tremendously. Jones remains a bit of a ‘tweener’ without a set position and is limited athletically in terms of explosiveness, but he has a strong upper body and an impressive wingspan (7’4”) that allows him to get easy buckets in the paint. Combine that with a relentless motor for loose balls and you’ve got a player willing to do all the dirty work on offense. He’s also expanded his range all the way to the three-point line and has gained confidence in the outside shot. Jones still has much work to do defensively, where he averaged just 1.0 blocks and 0.7 steals in 38 minutes per game, but his length and work ethic should allow him to hold his own at the next level on that end. Jones is the typical senior with limited ‘upside’ that will get him overlooked by some teams, but his tremendous productivity last season certainly opened eyes to his potential to be a contributor in the NBA. Syracuse’s super sixth man Dion Waiters is not going to wait around for his starting slot next season with the Orange as Waiters announced he will be entering the NBA Draft. The athletic 6’4” guard will sign with an agent, eliminating any possibility of returning for his junior year. Waiters did not start a game this season for Syracuse but was widely regarded as the team’s most talented player. He posted averages of 12.6 points, 2.3 rebounds, and 2.6 assists in 24.1 minutes per game while being named the Big East’s Sixth Man of the Year and making All-Big East Third Team. There could be quite a bit of roster turnover this offseason as Waiters joins departing seniors Scoop Jardine and Kris Joseph, while fellow sophomore Fab Melo, who was suspended for the NCAA Tournament due to academic issues, may be soon to follow Waiters into the NBA draft. Another Big East guard, Providence’s Vincent Council, ended speculation that he might be leaving school to turn pro when he told Brendan McGair of the Woonsocket (RI) Call, who reported via Twitter, “I wasn’t really thinking about leaving (Providence College) at all.” It had been said Council was considering foregoing his senior year and that academics may have been a driver. An All-Big East Third Team selection this past season, Council averaged 15.9 points, 4.1 rebounds and a conference best 7.5 assists per game. The 6’2” New Yorker figures to be one of the top returning Big East point guards in what should be an entertaining backcourt next year as the Friars welcome in top 25 recruits Ricardo Ledo and McDonald’s All-American Kris Dunn. There are so many storylines around the Louisville versus Kentucky Final Four matchup there could be a two-week Super Bowl-type hype period to analyze and dissect. While everyone loves some good old-fashioned overkill, the good news is we only have until Saturday to anticipate how this historic match-up might play out. Certainly the head coaches are at, or near, the forefront of it all and as Yahoo! Sports’ Dan Wetzel points out, Louisville’s Rick Pitino will enjoy playing the underdog role in an effort to perhaps tighten Kentucky coach John Calipari and his team up a bit. While there is no question the pressure rests on Calipari and Kentucky, it is hard to fathom the magnitude of the moment getting by either team. As much as Pitino might love his side to play loose, he and his team both know the margin for error will be thin on Saturday. Plane ticket from Kentucky to New Orleans? $500-$1800. Hotel room in New Orleans? $400-$600 per night. Ticket to see Louisville take on Kentucky in the Final Four? $377. A chance to see one of the most anticipated match-ups in college basketball history? Well…pricey! If this weekend is any barometer of the economic state of our country things are progressing nicely. Despite the price tag demand is high for all of the above and supply is getting low as basketball crazy residents of the Bluegrass state have been more than willing to pony up. Getting to New Orleans is one thing. Plane seats are limited and anything involving a gas powered vehicle, whether car, SUV or bus comes with the pain of surging gas prices. What to do when one gets there is another. As of yesterday there were only about 2,200 of New Orleans’ 22,000 hotel rooms available even with hotels setting four-night minimums. It is great to go to a big game but will also be interesting to see if television sales in Final Four markets increase this week as people decide to ditch the planes, trains, and automobiles and use that money to purchase a longer-lasting Toshiba. The Associated Press revealed its All-America teams yesterday and while the Big East cannot boast any first teamers, the conference was well represented overall. Big East Player of the Year Jae Crowder of Marquette (17.6 PPG, 8.4 RPG) and West Virginia’s Kevin Jones (19.9 PPG, 10.9 RPG) represented two of the six players who received second team honors while Connecticut’s Jeremy Lamb (17.7 PPG, 4.9 RPB) took home an honorable mention distinction. Members of the first team included: Anthony Davis (Kentucky), Draymond Green (Michigan State), Doug McDermott (Creighton), Thomas Robinson (Kansas), and Jared Sullinger (Ohio State). Robinson was a unanimous selection. The good news for Georgetown was with their NCAA Tournament second round victory over Belmont the Hoyas snapped a two-year NCAA one-and-done streak. The bad news? A third round loss to #11 seed North Carolina State meant another early tournament upset exit at the hands of a double-digit seed. Of course this type of thing falls right into the wheelhouse of doomsday embracing fans and nay saying media but, as this Bleacher Report piece by Bryan Toporek aptly points out, to call for John Thompson III’s head at this point would not only be premature, it would be foolish. Thompson has led the Hoyas to six twenty win seasons in the last seven, including a Final Four appearance in 2007. He has consistently brought in high level recruits and players that fit his system well and is one of three finalists for Nerlens Noel, the nation’s best high school senior and a potential game changer. Lastly, even if one could put the previous points aside and still want Thompson III to go, who do you replace him with? The grass is not always greener on the other side. This just in. College kids party. That is why it comes as no surprise to find out that six Marquette players, who are not of drinking age, received citations for being in a nightclub back on January 29. The players: Todd Mayo, Vander Blue, Jamail Jones, Juan Anderson, Derrick Wilson, and Jake Thomas were not believed to be drinking. Head coach Buzz Williams acknowledged the issue was dealt with later the same day as January 29 was a Sunday. Reading between the lines it sounds like Williams handled it the old fashioned way with some good old intense physical fitness early on a Sunday morning. It is not known if the February partial game suspensions of Mayo, Blue as well as Junior Cadugan and Darius Johnson-Odon during Marquette’s February 24 game at West Virginia were related to the nightclub incident. This is also not expected to impact any of the players’ status for the Golden Eagles sweet sixteen contest against Florida on Thursday. The University of Rhode Island has hired a young upstart coach in Danny Hurley away from Wagner to be its head coach and revive a struggling program that has not been heard from nationally for awhile. College basketball fans in southern New England only have to look back a year, and a short distance up route 95 north, to when Providence hired Ed Cooley with the same goals in mind. Providence and Rhode Island have a great and long standing interstate rivalry, so it is likely that the comparisons between Hurley and Cooley will be fodder for discussion in the Ocean State for some time to come as their journeys are now aligned. Further, as this article by Kevin Farrahar of friarbasketball.net outlines, Friar fans should be happy about Hurley’s hire because it gives more cachet to the rivalry, especially if both coaches have overall success, and is good for the suffering state of college basketball in Rhode Island on the whole. Further buzz will be created by the news that Danny’s brother Bobby, the former Duke star, apparently will join him in Kingston as an assistant rather than moving into the head role at Wagner as had been rumored. Marquette received a verbal commitment from a hometown star yesterday as Milwaukee’s Dominican High School point guard Duane Wilson, a member of the class of 2013, pledged for the Golden Eagles. Wilson is ranked 128th nationally by Rivals.com and an ESPN.com grade of 92 (out of 100). “The main reason that made me go to Marquette was coach Buzz Williams,” Wilson told the Milwaukee Journal-Sentinel. “That was my first scholarship offer and they stayed on me. I just really liked his attitude. He gets the best out of his players all the time and they just play hard.” The highly recruited Wilson chose Williams and Marquette over the likes of Missouri and Memphis among others. The National Association of Basketball Coaches (NABC) announced its All-America teams yesterday and the Big East checked in with three honorees spanning the second and third teams. West Virginia senior forward Kevin Jones (19.9 PPG, 10.9 RPG) and Syracuse senior forward Kris Joseph (13.7 PPG, 4.9 RPG) were named to the NABC’s second team. Marquette senior forward Jae Crowder (17.6 PPG, 8.4 RPG), who edged out Jones for Big East Player of the Year honors, received third team All-America honors. The first team consisted of: Anthony Davis (Kentucky), Draymond Green (Michigan State), Doug McDermott (Creighton), Thomas Robinson (Kansas), and Jared Sullinger (Ohio State). Not Just the Big Three For Marquette. In the first half, BYU had nobody who could contain Davante Gardner. The Marquette big fella scooped in 12 first-half points that all came from either attempts within five feet or free throws. We mention him specifically (he finished with 15/6) because his first-half performance was indicative of Marquette’s wise and efficient shot-selection on the day. Jae Crowder (10-20) was phenomenal, posting a 25 point/16 rebound performance enhanced further by the fact that he led his team with six offensive rebounds and pilfered five steals. Darius Johnson-Odom was his usual imposing self, as well (20/5), but Buzz Williams will laud his team’s effort from top to bottom; the Warriors had four players in double-figures (Todd Mayo added 10/6) and had six players pull down at least five rebounds. Hump Day. As in, the 10-point one BYU just couldn’t get over. BYU improved their shot selection in the second half and, for the most part, played much better defense than they did in the first. 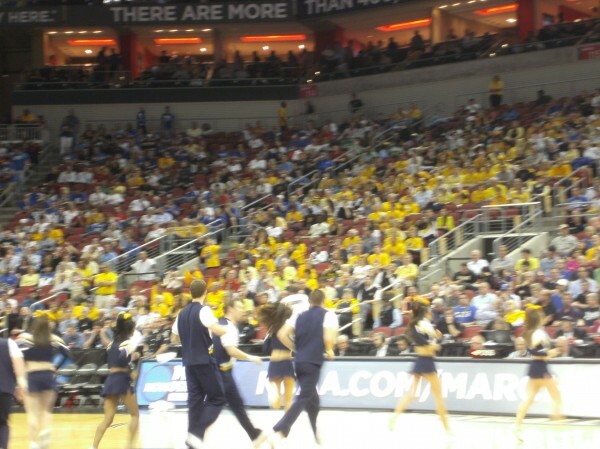 Seemed like every time they’d string a few nice possessions together, Marquette would drill an open three. This happened on four different occasions when the Cougars were able to cut the lead to ten. Your Turn, Kevin. No disrespect to WVU’s Kevin Jones, but Jae Crowder showed why he’s the Big East player of the year. The 6’6” senior was everywhere, playing the one, two, three, or four at any given time, talking like mad on defense, and being the leader they expect (and need) him to be. Star of the Game. Crowder, without question. BYU was led by Brandon Davies (19/12), but he left a lot of points at the free throw line (5-11). Crowder was the best player on the floor right from the tipoff. Sights & Sounds. What in the world was going on with the slippage? For years we’ve been talking about players slipping on the floor decals of tournament sponsors, but this wasn’t decal-related. Four stoppages of play to wipe the floor, multiple players slipping, sliding, falling…did they sneak a hockey rink under the Yum! Center floor while nobody was looking? What’s Next? Marquette gets Murray State on Saturday. Marquette showed that it’s going to be a tough out in this tournament. They shot well (30-66, 45.5%), hit from range (9-20 from three, 45%), and absolutely owned the boards against the Cougars (48-32). Of the two winners today, Marquette would our choice to move on based on their opening performances. Anytime you enter the NCAA Tournament with just one loss and 4-0 record over NCAA Tournament teams, you’re a big story and a threat to go deep in the tournament. 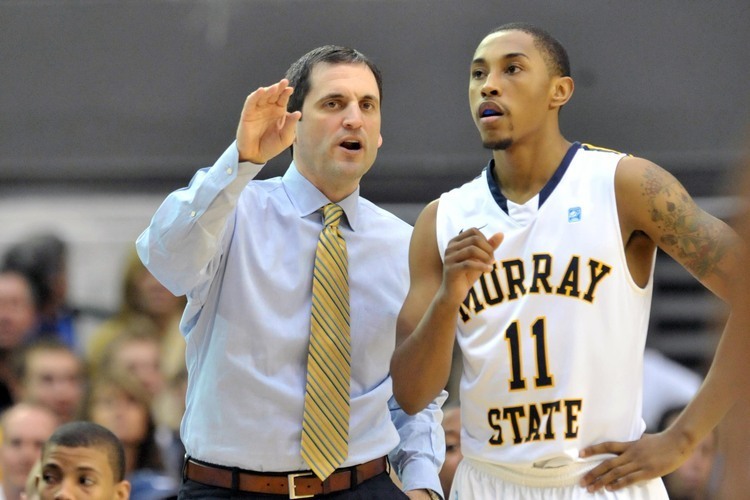 That’s the situation Murray State finds itself in. The fact that they’ve got a recent history of some success in the tournament (they knocked off Vanderbilt in the first round in 2010 before losing a heartbreaker to eventual national runner up Butler) makes them an even bigger challenge. In that 2010 loss to Butler, then-freshman guard Isaiah Canaan had the ball in his hands with the clock running down and threw an errant pass that got deflected by Gordon Hayward, effectively sealing the Racers’ fate. Two years later, Canaan is this team’s leader and one of the best guards in the nation, capable not only of getting his own opportunities in a variety of ways, but also creating for his teammates. And he’ll certainly be a problem for a Colorado State team whose guards, though talented scorers offensively, struggle to stay in front of their men on defense. Another issue for the Rams is the fact that they are one of the smallest teams in the nation (there are only five teams smaller, according to Ken Pomeroy’s effective height statistic), with a frontline that doesn’t go any larger than 6’6”. Murray may not have a lot more height (their two main interior players – Ivan Aska and Ed Daniel – go just 6’7”), but the lack of size has been an issue for CSU this year. Still, the Rams can score with just about anybody, but their inability to lock down defensively will be a problem. A bigger problem could be the fact that the Racers are playing not only within an easy drive of their campus, but that the hordes of Kentucky fans who show up for the early session will most certainly convert their allegiance to the Racers, at least temporarily. This could be an ugly game right off the bat. Neither of these two teams shoots the ball particularly well, especially Southern Miss. The Golden Eagles have an awful two point field goal percentage (43.3%) and rank second to last among NCAA Tournament teams in effective field goal percentage. Only 16th seeded Western Kentucky is worse. Despite the poor shooting numbers, Larry Eustachy’s Golden Eagles have a respectable offensive efficiency number thanks to a minimal turnover percentage and solid offensive rebounding. If Southern Miss is going to win this game, it must rebound the basketball and score on second chance opportunities. While Kansas State is regarded as a team that plays terrific defense and rebounds well, the Wildcats are vulnerable on the defensive glass. Provided Southern Miss and point guard Neil Watson can keep a good handle on the ball and get some decent looks, this team will hang around. For Kansas State, it must get Rodney McGruder going early and often. McGruder is the best offensive player on this team and has been playing at a high level of late. 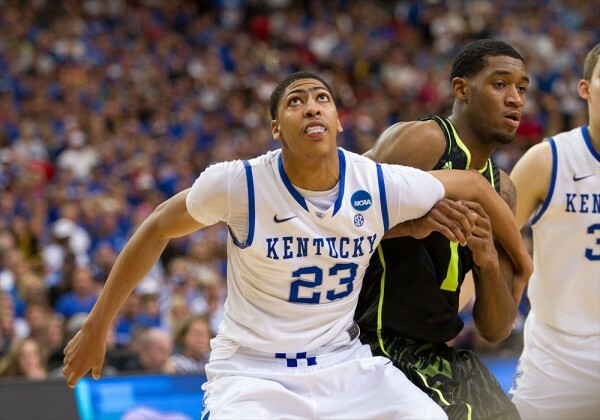 Kansas State should win the game if it rebounds well and plays its typical brand of physical hard-nosed basketball. The Wildcats should get plenty of offensive rebounding opportunities against a Southern Miss team that has just one player taller than 6’7.” The free throw battle could be important as well. Each team gets to the line well but also fouls a lot when playing defense. The Golden Eagles shoot it much better from the stripe and they’ll need to today in order to offset the rebounding disadvantage.